In a pure auction, the highest bid should always win. In many cases an RTB auction ends with this result, but not always. There are two or three things that will adjust the auction mechanics to give a lower bidder the impression. Most of the time a modified auction is at the behest of the publisher. Advertiser filtering is the first thing that can get in the way of the highest bidder. This feature is typically marketed as “brand protection.” It’s a way that publishers keep undesirable ads or advertisers off of their inventory. Competing brands and low quality ads are the most obvious targets of ad filtering. Sometimes, however, a publisher will strike a direct buy from an advertiser. In order to protect that buy the publisher might block the advertiser’s other access channels. This means keeping the advertiser from buying additional inventory in the open market via RTB. Private marketplace mechanics can also interfere with an auction to give a lower bidder a win. These manipulations usually take the form of a deal. Deals allow buyers and sellers to establish purchase packages at, typically, discounted rates with some promised volume. The publisher likes deals because they are pre-selling chunks of inventory at a guaranteed rate. The buyers like the deals because they are fulfilling their campaign needs at an anticipated package price that tends to be slightly lower than market. Bids coming in with a deal id attached to them activate additional algorithms in the exchange. A deal is not always guaranteed a win, but in many situations it will preempt the normal auction process and keep higher bidders from winning. The use of header bidding is starting to have an impact on the exchange auction, but only after the exchange’s auction has run. 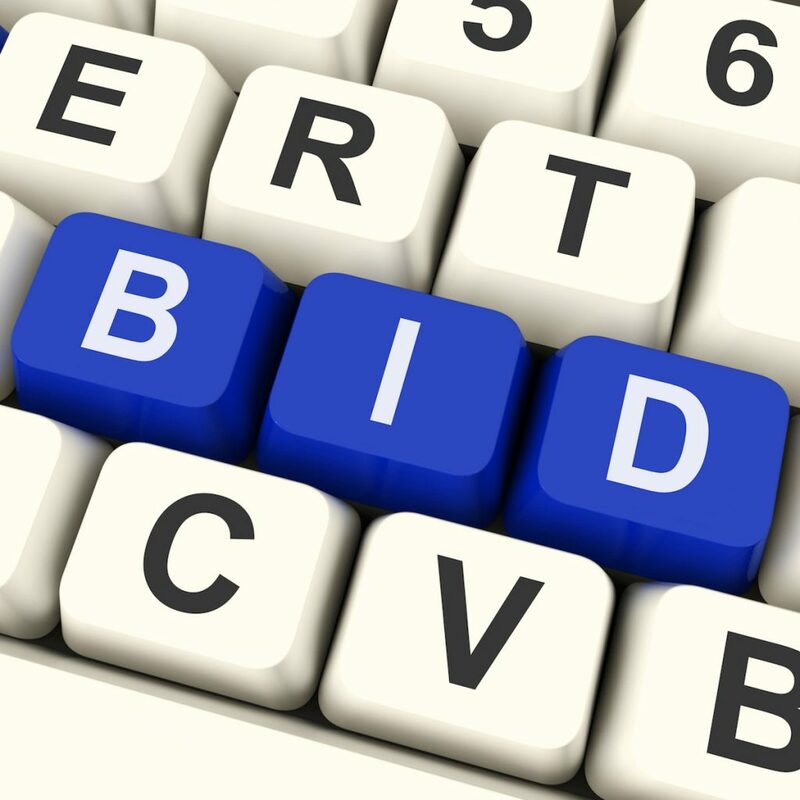 Header bidding involves the odd publisher here and there running an additional auction using the winning bids from several exchanges. Obviously, this is not an ideal scenario for the buyers because they lose a lot of visibility into the auction. The exchange will show a win, but the buyer can still lose to a bid from another exchange. Finally, on the technical side of things a late response could cause a high bid to be dropped. If the bidder’s technology stack is slow to return bids the exchange may end up ignoring them in favor of keeping the publisher’s page load from suffering. Slow response times can happen for a variety of reasons including: slow bidding logic, overloaded network route to the exchange, solar flares, aliens, the cleaning lady unplugging a switch, and a million other reasons. Response times are monitored by the major exchanges and steps are taken to reduce the burden on exchange hardware and publisher page performance. My answers above are obviously from an exchange’s perspective. If you’re not running your own bidder there are probably several things within the bidding system that might prevent your bids from even getting out the door on every impression. For example: a DSP has to choose which bids to send out on each impression, not every campaign can be represented all the time – it’s simply too much to handle. The factors that go into that decision are akin to ad server algorithms. They take into account expected eCPM, click rates, conversion rates, inventory scarcity, campaign pacing, and all those other campaign considerations. As with the rest of ad tech, these systems are continuing to evolve. Novel products like header bidding and deals will continue to disrupt and extend the technology to bring needed solutions to buyers and sellers. It seems, for now, that RTB will continue to be a major layer in the ad tech stack whether or not it’s allowing the highest bidder to win.